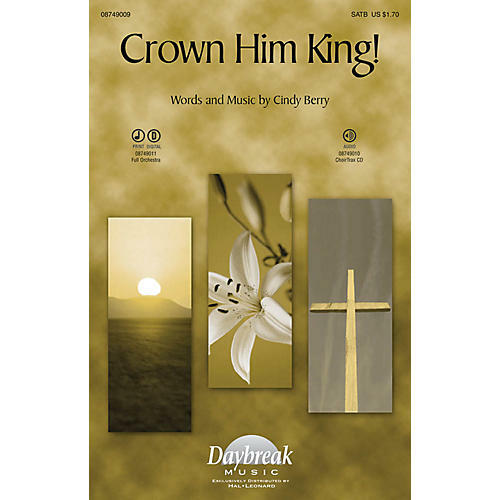 Cindy Berry's new anthem of rejoicing is upbeat, rhythmic and exciting and will lead your congregation to praise for the King. Available separately: SATB, ChoirTrax CD. Score and parts for Full Orchestra available digitally (1110/1321/11/1/88442). Duration: ca. 3:55.